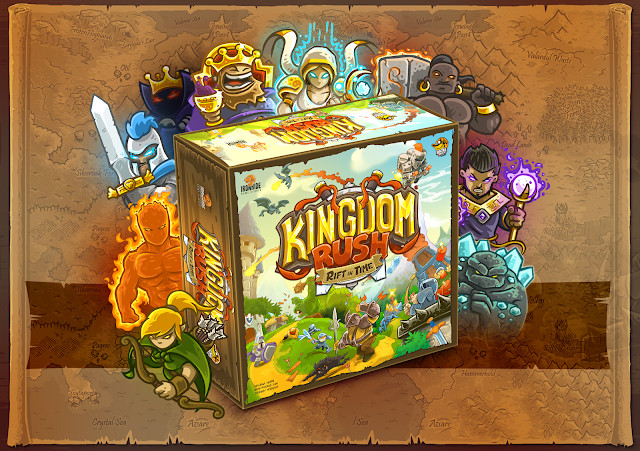 Kingdom Rush, the hit mobile app, is now coming to a table near you! Funded in less than an hour, Kingdom Rush: Rift in Time is a cooperative tower-defense board game produced by Lucky Duck Games. Your goal is to work together to defend the kingdom from the Time Mage’s wrath, along with his charging minions. Set your defenses and send out the troops, but be careful, because with more encounters come more vicious and experienced attackers. 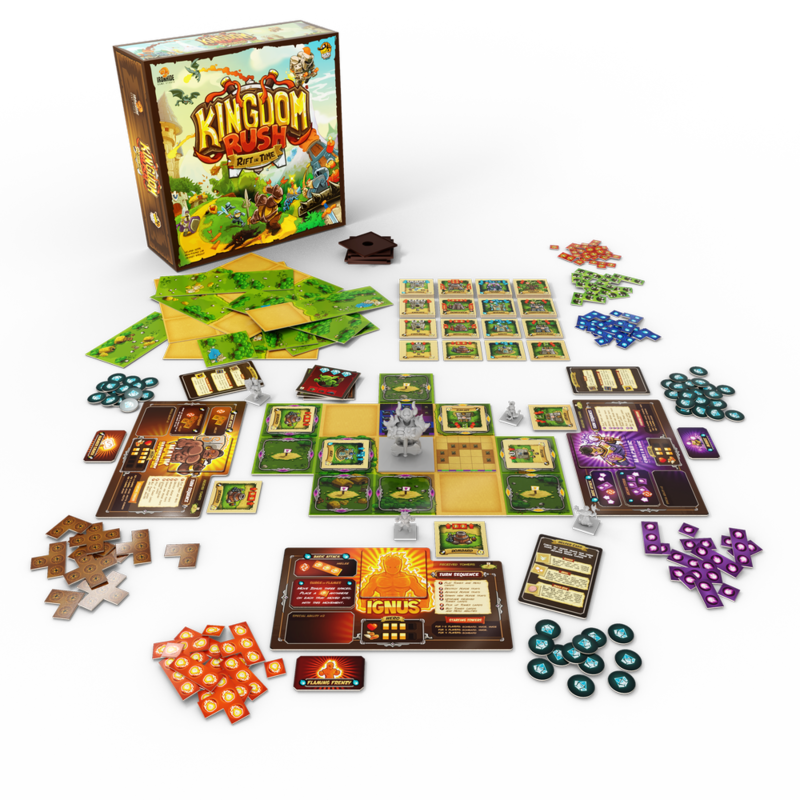 Play through the campaign to foil the Time Mage’s plans and save the kingdom! 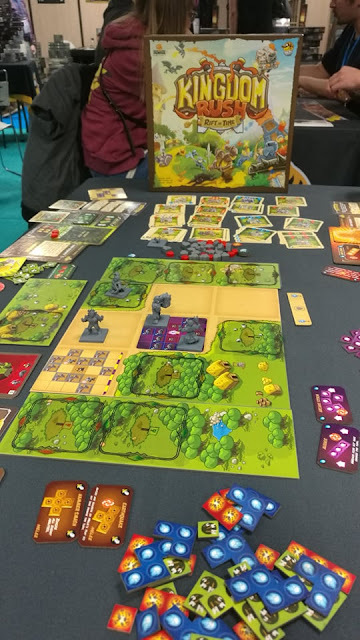 With mechanics like tile laying and hand management, and with variable player powers, you must work together to use your wits and resources to keep your kingdom safe. Upgrade your weapons and plan your placement well, because the way you place them determines how the baddies get hit. Weapons attack using specific polyomino/Tetris shapes, as indicated on the weapon, and attack according to how the weapon is placed. For example, a “Marksman” tower shoots in the form of an L, dealing damage to four spaces in that specific shape. The Time Mage is coming, and it’s up to you (and up to three others) to stop him. The time to prepare is past; the time to act is now. 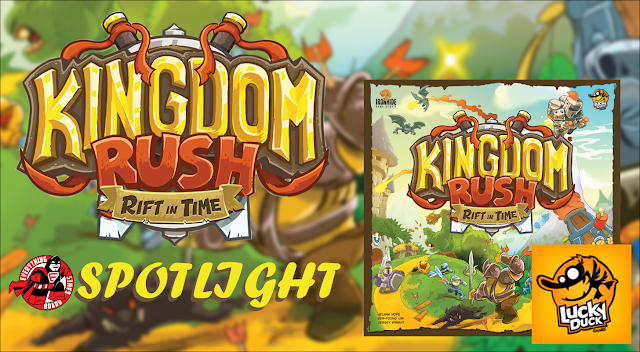 Kingdom Rush: Rift in Time is live on KICKSTARTER from now until May 2, 2019 and has surpassed its funding goal of $20,000.